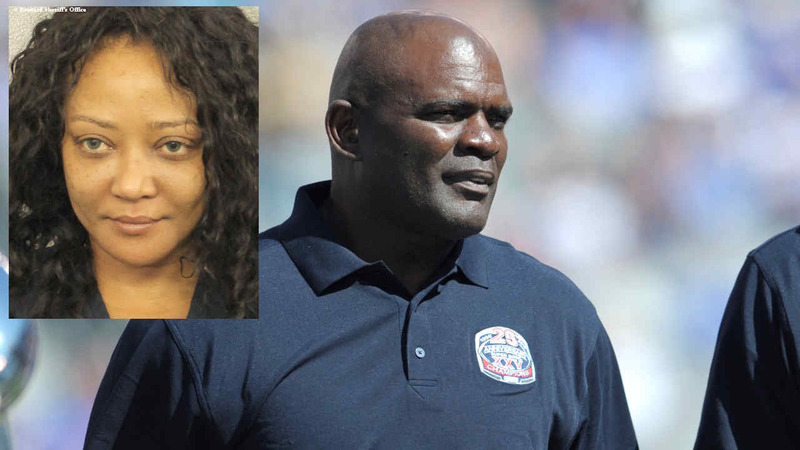 PEMBROKE PINES, Florida -- The wife of former New York Giants linebacker Lawrence Taylor has been arrested on a domestic violence charge after she admitted throwing an object that hit her husband in the head, causing a 3-inch cut. Lawrence Taylor, known as "L.T. ", played his entire Hall of Fame career with the Giants from 1981-93, winning two Super Bowls with the team.